When it comes to vegan, sustainable footwear, few brands can boast the reach and style prowess that Melissa Plastic Dreams can. 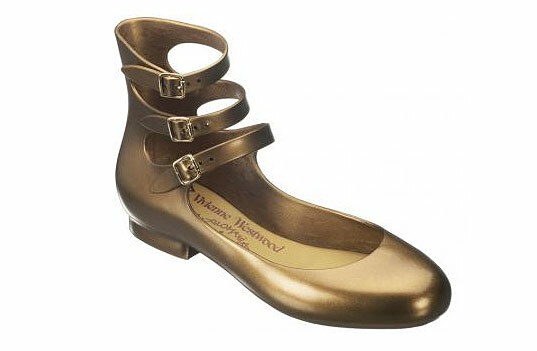 From collaborations with queen of the anglofashion world, Vivienne Westwood, architecture maven Zaha Hadid and design celebrities the Campana Brothers, Melissa delivers glossy flats, heels and boots that we would covet even if they weren’t made of cruelty-free, nontoxic MEFLEX plastic in eco-conscious factories. As difficult as it was, we narrowed our favorites down to five stand-out styles that we really think exemplify why people love the fantastic, plastic world of Melissas so much. Enjoy! Reminiscent of the fluid lines of her supermod buildings, these perfectly asymmetrical slippers are the work of world-renowned architect Zaha Hadid. 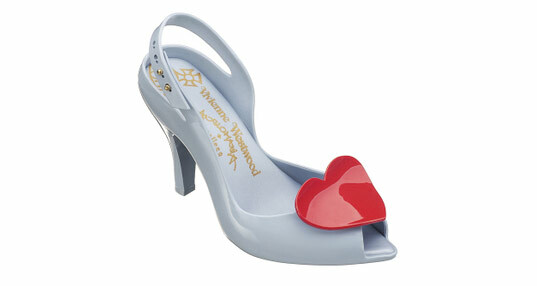 Why wear you heart on your sleeve when you could wear it on your shoe? These very rare gems are considered the crowning jewel on the crown of Dame Vivienne Westwood‘s extremely successful partnership with Melissa. These ubiquitous Melissas are what made women the world over swoon for the eco-friendly Brazilian brand, so we’re not surprised that they’ve kept this style alive by resurrecting it each season in new iterations from a fuzzy flocked baby pink version with Swarovski crystals to a twinkletoe version inspired by Tinkerbell herself. Elegant with three delicate gold buckles, these flats and heels add the perfect amount of sparkle to any outfit. In true Campana Brother fashion, these Corallos are an entangled blast from the past with their 80s jelly sensibility. Even though I like the style of this shoes, I am wondering what they are doing on a site like ecouterre??? Melissa shoes are made out of the most crappy materials you can think of. It�s PVC wrapped into a little nicer name from the marketing department. Certainly, not all plastics are bad and there are great compostable examples out there, but please .. not Melissa. Smell their shoes and you know that it�s pure PVC! Or cut a little piece out of their shoes and burn it .. the result will be a green flame and crude oil dripping down. That proves their great Greenwashing. There are much better eco-shoes out there, folks !! Hi Yuka, Melflex IS PVC. By its very nature, Vinyl Chloride IS toxic - and if its not Vinyl Chloride, its not PVC - look a little further and you will see that however they call it 'non-toxic' in Melissa's marketing materials, - it is still technically PVC. Don't you find it a little strange that Melissa are the ONLY company in the world equipped with the technology to make ecologically-sound PVC? That the validation that this eco-pvc DOES exist is to be found nowhere in the world outside their site? That there are no scientific papers anywhere discussing their truly world-changing breakthrough? I work in the eco-textiles industry and am totally amazed at how Melissa's positioning has been taken at face value by not just the mainstream press but by so many eco-sites and mags. Dont worry its not just Melissa's shoes that aren't eco-friendly just check out their jewellery! Im in the eco jewellery industry and I can tell you anodized aluminum is nasty stuff. The thing that really upsets me about Melissa's greenwashing is the harm its doing to their workforce. I stopped using all the nasty chemicals they use so I dont get sick later in life. Millions of people around the world are buying their products thinking they are doing the right thing while actually causing harm to others. When it comes to vegan,�sustainable footwear, few brands can boast the reach and style prowess that Melissa Plastic Dreams can. 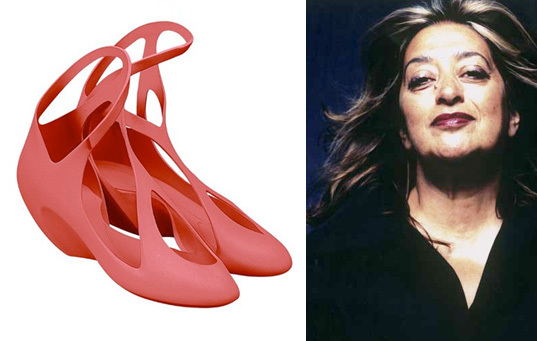 From collaborations with queen of the anglofashion world, Vivienne Westwood, architecture maven Zaha Hadid and design celebrities the Campana Brothers, Melissa delivers glossy flats, heels and boots that we would covet even if they weren't made of cruelty-free, nontoxic MEFLEX plastic in eco-conscious factories. As difficult as it was, we narrowed our favorites down to five stand-out styles that we really think exemplify why people love the fantastic, plastic world of Melissas so much. Enjoy!